"Being a mom is rewarding, and also really hard. That’s a universal truth, but adding disability to the dynamic makes some of the day-to-day responsibilities appear nearly impossible. Canine Companions has matched me with two different and perfect assistance dogs. 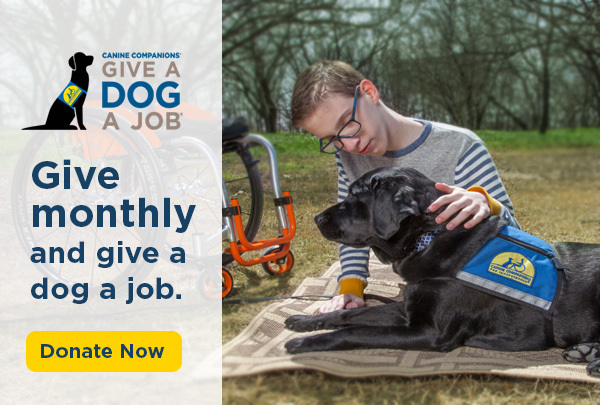 The first supported me as a daughter learning to be independent, and the second helps me overcome those impossibilities in order to be the mom my daughter deserves," says two-time Canine Companions graduate, Alex. On behalf of all the mothers you’ll help to face down the impossible, thank you!" Donate in honor of a mother in your life today and read Alex's full story about being a first-time mom with a disability. What Type of Working Dog are You? Are you like a hearing dog? Facility dog? Or maybe you’re most like a ranch dog that herds livestock. Take our fun quiz to find out what kind of working dog you are. Don’t forget to share your results with family and friends to see how similar (or different) you are. People might have come for the cars, but they stayed for the puppies. Miller was at the New York International Auto Show. While Miller practiced “shake” with what seemed like an endless stream of people, one interaction stood out. 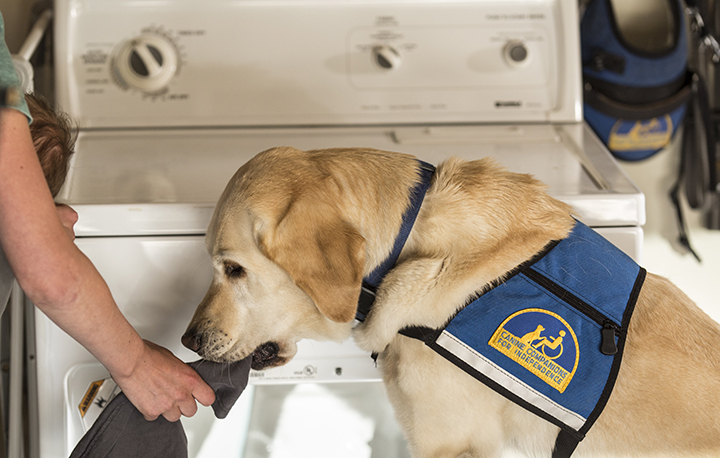 Read Miller’s recent update on the Canine Companions blog. Mother's Day and graduations the perfect (and easiest!) gift for anyone on your list is a gift that changes lives. Make an honor gift and we’ll send your recipient your love via an eCard or mail a card with your personalized message. Pick from over six eCard images. Donate today. Free cooler with your purchase of $40+ in the online gift shop. Use code 1118 for black, 1119 for blue or 1120 for pink at checkout. Learn about estate planning and other ways to give. Get a behind the scenes look at our dogs training on Instragram. Catch us at an upcoming PAW Patrol Live Tour stop! DogFest Walk 'n Roll is right around the corner! Share your Canine Companions story. Subscribe to our blog to read more stories. Check out the WUSA9 LIVE puppy cam featuring our puppies!